Placed behind the fender flares, this equipment helps cool the engine compartment and keep your ride smooth when the going gets rough. That classic open-air Wrangler experience is easier to access than ever, thanks to this easily foldable windshield. Whether you’re letting the sunshine in or just want to gaze at the moon, this power top makes putting the roof down a breeze. This available lighting package includes LED headlamps, fog lamps, tail lamps, and daytime running lights. See the Jeep Wrangler Exterior Today! 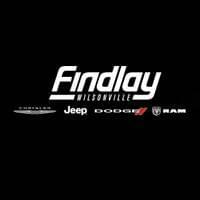 Whether you’re ready to apply for financing or want to witness the Jeep Wrangler exterior for yourself, you can do it all here at Wilsonville Jeep Ram, just a short trip from Beaverton. Schedule a test drive, or contact us to ask about Jeep Wrangler accessories like LED headlamps, fog lamps, steel bumpers, and more.